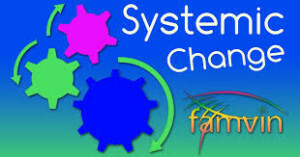 Browse: Home » WILL THE HUMAN BODY-SYSTEM CHANGE ACCORDING TO LIVING CONDITIONS? WILL THE HUMAN BODY-SYSTEM CHANGE ACCORDING TO LIVING CONDITIONS? In the normal conditions, people are given birth, grow and live under the sun. But the sun rise will be earlier or later, in the Polar Regions. When we go to these areas, we meet some problems. We cannot get up from bed, without the sun light. We cannot find out the directions and a confused state will come. But, if we stay and live there for some period, we will accustom to the living conditions of that place. It is not defined in ‘Biology’ that the changes are ‘systemic changes of the body’. In the places where there is less moisture, the cactus plants will be only with thorns and there will not be leaves in it. According to ‘Botany’, the thorns are considered as leaves. Further, there will be away-coating on them. This structure has been formed preventing the release of water, due to the release of steam. These evolutionary changes are called as ‘Systemic body changes’. .These changes do not come in a single generation. They come as a continuous process of the ‘evolutionary stage of development’ in many lakhs of years.